Nagpur: It take alot of courage and immense will power to fight any disease specially Cancer. 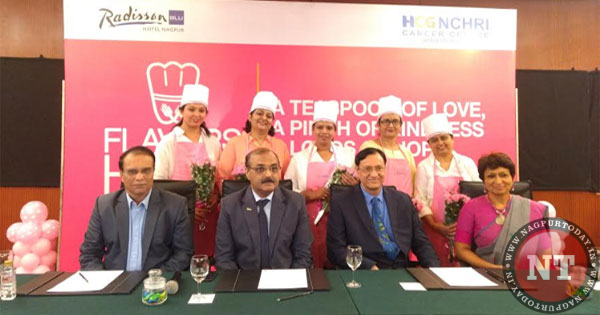 Health Care Global- Nagpur Cancer Hospital and research institute (HCG-NCHRI) conducted ‘Flavours of Hope’ at Hotel Radisson Blu on Thursday that offered breast cancer survivors an opportunity to cook with Chef’s. With a message ‘A teaspoon of Love, A pinch of Kindness and loads of Hope’ the event received full support from the people of Orange city for the greater cause. The event was organized to spread the message that with proper screening programs and proper care cancer could be beaten at an early stage. As October is observed as Breast Cancer awareness month. A total of 6 survivors participated in the event and were offered at a special prize to all the invitees in order to economically marginalize cancer patients to get the required treatment from the fund generated. Speaking on the occasion Dr Ajay Mehta, Director- surgical Oncology, HCG-NCHRI said that ” Breast cancer is presently the most common cancer in woman worldwide, early diagnosed is the key to desired outcome in breast cancer treatment and every woman should be well informed about the 9 steps of self-esteem breast examination. It is a myth that cancer cannot be cured with private and following a healthy lifestyle one can lead a healthy life. 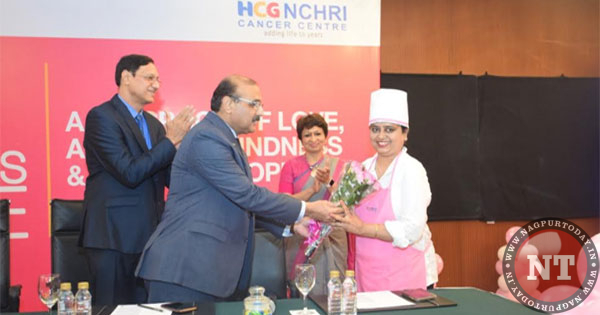 Dr Suchitra Mehta, Director, Psycho Oncology HCG-NCHRI said” Our aim is to reach out all the women of the society. 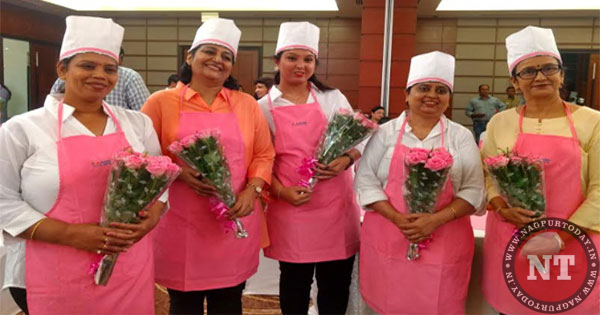 The idea was to bring about the message of timely detection for better cure and outcome’ Dr Meena Mishra, Associate Professor,GMC and a cancer survivors participating in the event said that it was a great experience for us to be a part of a social cause. Due to cancer one has to deal with a lot of negativity in life and through such events, we try to create awareness and positivity and hope so that other survivors and people undergoing treatment can benefit too’.